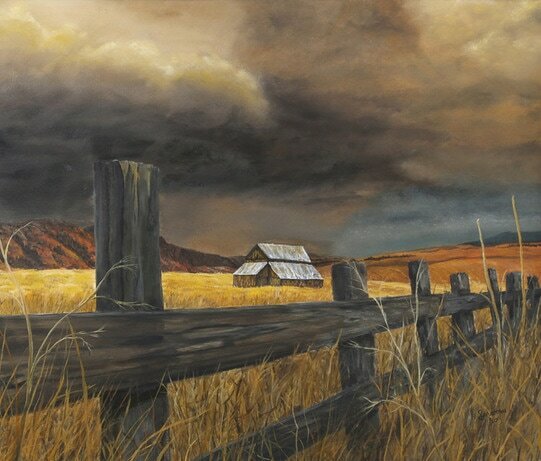 Storm clouds rolling in over the mountain range with the sun light shinning brightly on the fields. Numerous times I have traveled in the west and saw abandoned barns in the fields, which I thought would give more interest to my painting. Adding the fence was an after thought.